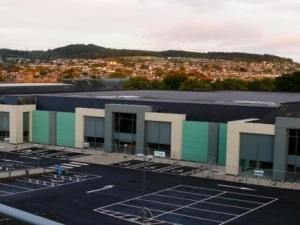 This project was the redevelopment and sub-division of a 55,000 square foot city centre commercial building into 3 separate smaller units. The external façade was completely revamped to give a modern, aesthetically pleasing appearance whilst the inside was partitioned using a pre-fabricated panel system. The car park and associated external areas were all upgraded to give new life to the existing building.